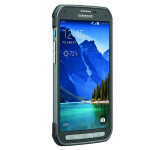 Samsung has officially launched the Samsung Galaxy S5 Active, the ruggedised version of its flagship Samsung Galaxy S5 handset. The phone is of course waterproof but only to IP67 standard, which means it’s no more water resistant than the standard S5 – just 1m of water for up to 30mins – and is less capable in this regard than the Sony Xperia Z2. 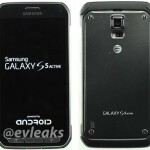 In fact, Samsung only lists the phone as water resistant. 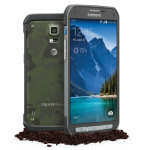 The phone is dustproof though and meets US Mil-STD 810G for shock, temperature, humidity, rain and altitude. 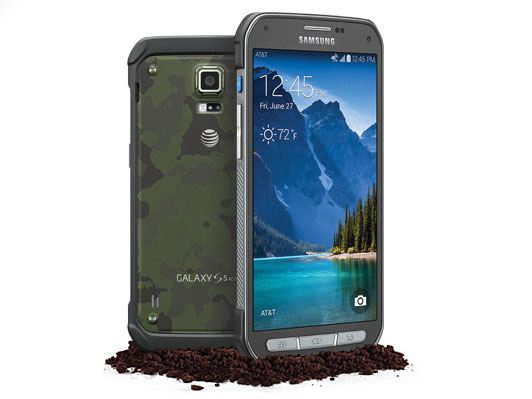 In accordance with all things tough, the phone – which is currently only being offered by AT&T in the US – is available in a camo finish.